On 29 June 2018 — a little past 12 am — Netflix announced that its next global series would be an adaptation of Salman Rushdie's Booker Prize winning novel Midnight's Children. 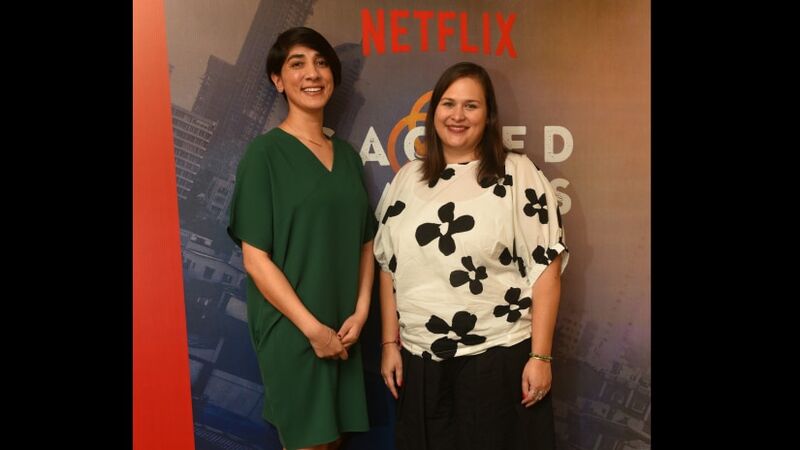 Some hours earlier — late afternoon on 28 June — the streaming service's vice president (creative, International Originals) Kelly Luegenbiehl and director (creative, International Originals) Simran Sethi were noncommittal when asked if big-banner literary adaptations were part of Netflix's long-term strategy. This, despite there being at least three major book-to-screen projects in its immediate future: Sacred Games, based on Vikram Chandra's book and due to release on 6 July; The Bard of Blood, authored by Bilal Siddiqi and being produced by Shah Rukh Khan's Red Chillies Entertainment; and Arvind Adiga's Selection Day. "We're also doing Again and Ghoul, neither of which are based on novels," said Simran. "It's really not a specific strategy and more just about finding authentic, talented Indian voices and the stories they want to tell. We want to be a platform for them to tell those stories." The biggest story of them all at the moment is Sacred Games, a 900-page tome that many have described as the definitive Mumbai novel. Sacred Games' journey to our screens has been nearly as long as Netflix's in India. There's a palpable excitement about its release, with hoardings all over Mumbai, a multi-city premiere tour for the team, and exhaustive rounds of publicity for the cast. On the day Kelly and Simran met with Firstpost, an entire floor at a five-star in the suburb of Juhu had been converted into a 'command centre' of sorts, with print and video interviews being conducted with several members of the Sacred Games team and Netflix, simultaneously across various rooms. Interviewers and interviewees were taken through a version of musical chairs, with scheduling that ran like a well-oiled mechanism. In the midst of the rush, Kelly and Simran sat calmly in a room, answering questions about Sacred Games. "We are so thrilled to finally be at this moment where we can launch our first original in India," said Kelly. "It's been a great experience collaborating with such great filmmakers and having source material like Vikram's book to work with... So we feel like now is finally the moment when audiences get to experience and enjoy it (too), and we hope they love it." Simran added: "This is definitely the right moment for this story, one that is so Mumbai-centric and has such texture. Being able to have this (Sacred Games), Lust Stories last month, and a steady drumbeat of content to come — Ghoul, Leila, Bard of Blood, some stand-up specials — it's just an exciting time for us in India right now." While the hope is that Sacred Games will be the next big 'crossover' success for Netflix among its international originals, Kellysaid that wasn't a consideration that influenced the making of this series. "We're always hopeful that our global audience will love a story. I think this one has a lot of potential to be an Indian story for a global audience, but one of the things that's really important to us is making a series in the most authentic and specific way we can. And what we're finding is that the more specific something is, the more universal it actually ends up being," she explained. When Netflix launched in India in January 2016, it was with a limited catalogue and no local content — both of which it has remedied to varying degrees in the time since. Netflix's India library is its sixth-largest across all markets. And while Sacred Games is its first India original, Netflix has had desi content in the form of Love Per Square Foot and more recently, Lust Stories. "I think for us it's been great to just understand our audience here a little bit more, and to understand what kinds of stories they're excited for us to tell from India," Kelly said. "And really, the best part about that has been the range — Lust Stories, Sacred Games, Ghoul. We want to make sure that we're giving a lot of different things to our audience here. So far they've really been responding; our global originals like Stranger Things and 13 Reasons Why have such great followings here... We're hoping to have a great mix of local and global originals that audiences will enjoy." Has the slew of local content (stand-up specials, Inside Edge) on Amazon Prime, a competing streaming service, changed Netflix's strategy in any way? "We pay attention to our consumer more than we do to our competitors," Simran countered. "Again, it's about finding these unbelievably talented Indian filmmakers and telling their stories for the audience. The Indian consumer or fan who is a passionate lover of content in this country — that's our priority." Netflix has over 60 series in various stages of production and pre-production in over 20 languages, Kelly said, to emphasise how important investing in international content and markets is to the streaming service. For this content to be truly diverse and inclusive was also vital. "Our goal is opening it (Netflix) up to diverse storytellers. Simran and I are both very passionate about female storytellers and this is such a great moment (for that)," she added. As for what was on the anvil for India, Simran counted off: "There's a steady slate of shows coming. A lot from female filmmakers and showrunners. Stand-up specials, the unscripted cricket show, Mighty Little Bheem for children, and a lot more."